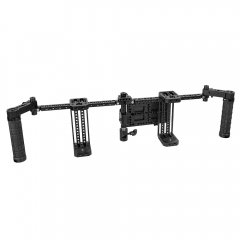 • Refined Design - This support rig is designed to give your SmallHD 700 series monitor a stable support while operating the camera. 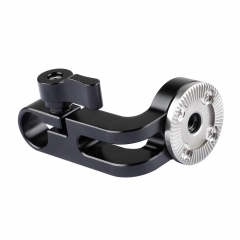 • Back Plate - It comes with a back plate used to mount the support bracket to the monitor via two 1/4"-20 Screws. 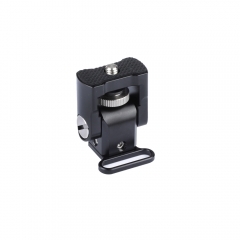 • Free to adjust - The center thumbscrew knob can be finger-tightened to secure your monitor at a proper angle by adjusting the joints at both ends. 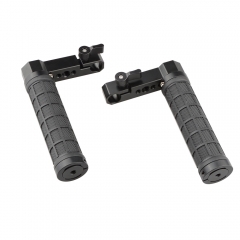 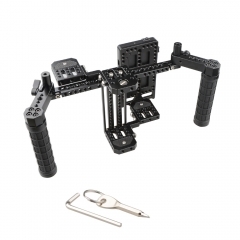 • Dual-rod System - It also features a compatibility with 15mm rod system, which allows you to attach some other accessories onto the rods. 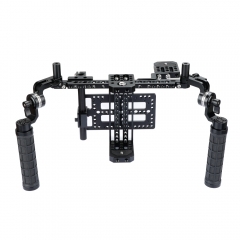 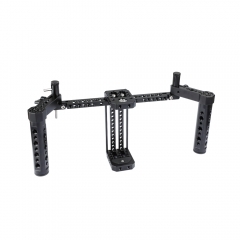 • This monitor support rig is well built of aluminium alloy. 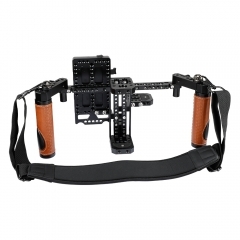 • Max load capacity is approx 2 kg for the monitor support rig. • This support rig is exclusively applied to SmallHD 700 series monitors, including 701 LITE, 702 LITE and 702 BRIGHT.